Generate an Beslist Inventory File – Select “Beslist” as the Merchant Type. Log in Beslist Merchant Account and navigate to Producten feed. 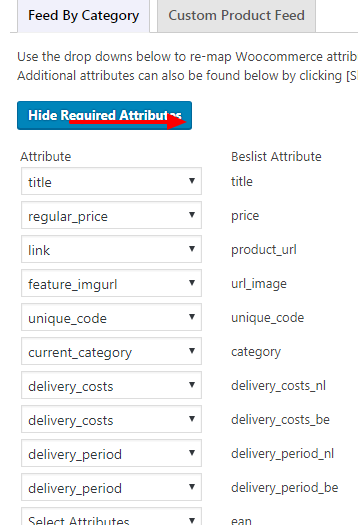 Copy & Paste URL of generated product data feed. If you find any confusion please contact our support team.